Why Should You Have Your Windshield “Repaired”? Solarteck’s technology is such that 75% of stone damaged windshields can be repaired if caught before the break spreads or becomes contaminated with road debris. Cost! Your insurance company will waive your deductible if your windshield is repaired rather than replaced. They will pay the repair shop directly for the work they do for you. Maintain lower premiums. A windshield repair costs a fraction of the cost of replacement. The lower the cost of claims, the lower your premiums. Your safety is our concern. A broken windshield can be a distraction to the driver and become a hazard. The environment is everyone’s concern. Auto glass is not recyclable because of the poly-vinyl used in the manufacturer of windshields. Windshields are disposed of in landfill sites. We recommend the Solarteck Auto Glass windshield repair method. For your convenience, Solarteck Auto Glass provides a “mobile service”. We will come to your home or business and repair your windshield on site, or if it’s more convenient, in-shop service is available while you wait. Windshield repair is a real alternative to windshield replacement. Fixing a stone chip in your windshield at Solarteck Auto Glass will save both the integrity of your windshield and your bank account. All of our auto glass repairs come with a lifetime guarantee. We’ve built our reputation on the ability to repair stone chips that other glass shops are unable to complete. 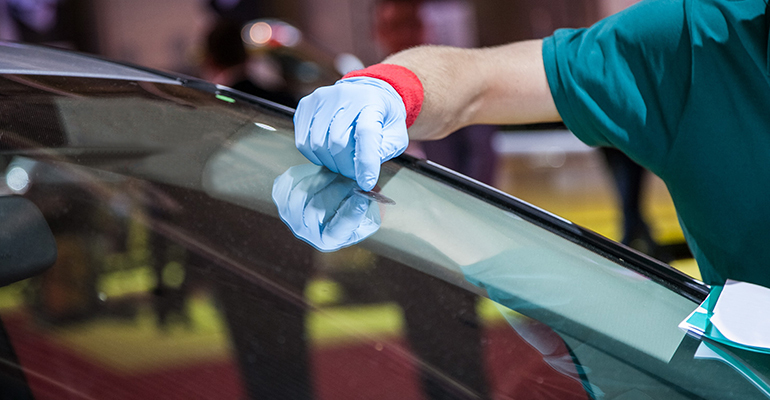 No job is too challenging for us — our team has been trained to fix even the most difficult auto glass repairs. For more information about our auto glass repair service, contact the people that care -at Solarteck Auto Glass.